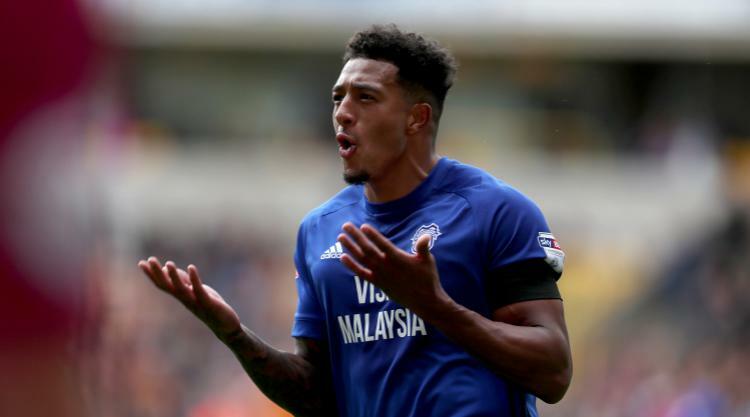 Nathaniel Mendez-Laing's second-half goal helped Cardiff maintain their perfect start to the Sky Bet Championship season with a 2-1 victory over fellow high-flyers Wolves. After a goalless first half at Molineux, Joe Ralls converted Junior Hoilett's cross from the left after 54 minutes to give the Bluebirds the lead. Leo Bonatini levelled the contest from close range 13 minutes later, the first goal conceded by Cardiff in the Championship this season. Mendez-Laing's fourth league goal of the season restored the lead for Neil Warnock's side in the 77th minute, though, as Wolves' own 100 per cent start was brought to an end. Ipswich are hot on the heels of Cardiff after they completed their fourth win in succession with a comfortable 2-0 triumph at home to winless Brentford. Martyn Waghorn scored his fourth goal of the season in the 35th minute to put the Tractor Boys in front and Joe Garner added a second just after the break. Nottingham Forest continued their fine start to the season by beating Middlesbrough 2-1 at the City Ground. Barrie McKay handed the hosts the lead after 16 minutes, while former Forest striker Britt Assombalonga, a Â£14million summer signing for Boro, wasted a couple of good chances either side of the break. Daryl Murphy, brought in to replace Assombalonga, made the visitors pay with a 79th-minute penalty after Ben Gibson, who went on to score a consolation, fouled Ben Brereton in the box. Conor Hourihane scored a hat-trick as Aston Villa picked up their first win of the season by beating Norwich 4-2 to ease the pressure on boss Steve Bruce. Villa started brightly and Hourihane put the hosts ahead after 22 minutes before Andre Green curled home a second goal just before half-time. Josh Murphy slotted home on the hour mark for Norwich, but Hourihane's second goal after 68 minutes eased the nerves at Villa Park. There was still time for Nelson Oliveira to reduce the Canaries' arrears, but Hourihane completed his hat-trick late on to seal a valuable three points. Derby striker David Nugent scored twice to leave Bolton still searching for their first win after a 2-1 defeat at the Macron Stadium. Nugent put Derby in front after eight minutes and the former England striker added his second midway through the first half, with Gary Madine scoring a consolation in added time. Idrissa Sylla scored a last-gasp winner as QPR came from behind to beat Hull 2-1 at Loftus Road. Jarrod Bowen handed Hull the lead after 35 minutes before Matt Smith levelled in the 74th minute and Sylla slotted home in added time. Sheffield United secured bragging rights in the South Yorkshire derby against Barnsley with a 1-0 win at Bramall Lane in the early kick-off. Billy Sharp got the only goal of the game after 17 minutes, but both sides were reduced to 10 men as Leon Clarke and Angus MacDonald walked for clashing just before half-time. Steven Fletcher's second-half strike secured Sheffield Wednesday a 1-0 win at Fulham, Jordan Hugill scored the only goal in Preston's 1-0 victory against Reading, while Bristol City and Millwall played out a goalless draw.